Debate: Shark Fin or Sharks Finished? Many Our World readers will be familiar with the unarguably brutal process of shark-finning, the practice of slicing off a shark’s fin, commonly done while the shark is still alive. This violent act is committed all in the name of shark fin soup, a delicacy in Chinese culture in particular. With the rise of China and the growing affluence therein, shark fin soup consumption is going up while shark populations are quickly going down — no wonder, with up to 73 million sharks killed each year mainly for their fins. 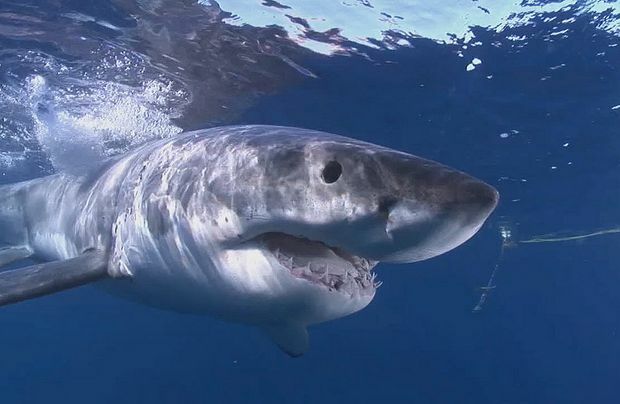 The Traffic wildlife trade monitoring network reports that 30 percent of all shark species are either “threatened or near threatened with extinction”. As so often in history, when a problem gets so noticeable that ignoring it becomes harder than responding to it, humans have a tendency to kick into action. While international agreements to stem the tide of shark destruction have been slow to have an effect, two such localized actions are gaining attention on opposite sides of the world. In Taiwan, one of the largest consumers of shark fin, laws will be introduced this year to ban finning at sea (although land finning will still be possible). This may have the effect of making the practice unprofitable for fishers who will now have to bring the added weight of shark bodies (which are, in contrast, a heavy, low-value product) back to land. It will also be interesting to see whether the laws are adhered to given that they challenge an established cultural norm. Across in California, the state senate has gone a step further and recently enacted legislation to ban the “sale, trade and possession” of shark fins. Although many representatives from Asian backgrounds support the ban, this move has angered some parts of the state’s sizeable Asian communities. Could such a ban really be racist because it will affect certain ethnic communities more than others? The difference with using shark fins, however, is that it represents a show of wealth for families or companies at the expense of vulnerable species located at the top of the food chain. Although shark-finning is often a heated issue, to be sure, it is a good example of the divergent attitudes to different aspects of natural resource use that are held all over the world. All societies construct their own acceptance of what animals and ecosystems are fair game for extraction; eating dog in the West might seem “disgusting” but for poorer people in Asia it can be an affordable form of protein. The difference with using shark fins, however, is that it represents a show of wealth for families or companies at the expense of vulnerable species located at the top of the food chain. The short-term culinary and status gains hardly seem worth it. So, with all that in mind, is a total ban on shark fin soup the right thing to do? Or does it unfairly target particular cultural groups? Who is any group to say that other groups should not pursue their cultural traditions? Culture evolves, it is often said. Could it be that, at the current rates of depletion of shark populations, this cultural practice may be pressured to change simply through a lack of sharks to keep it going? Or perhaps those who have practiced this tradition will make a conscious change themselves, as in Taiwan, to cease what is clearly an unsustainable, not to mention inhumane practice? Or not? Debate 2.0: Shark Fin or Sharks Finished? by Mark Notaras is licensed under a Creative Commons Attribution-NonCommercial-ShareAlike 3.0 Unported License. Four Fish, but for How Long? It is controverrsial when the ban on shark fishing intrude cultural traditions of some countries. You are correct Kenji. This is a complex issue. This morning during my commute to work I was sitting on the train and looked up to see an advertisement for shark fin soup. It has probably been running for ages, but I only saw it today, after glancing at this article over breakfast. I guess that the problem here is that we take things for granted until someone explains the implications of our actions. I would suggest that most people are not aware of the ramifications of eating shark fin soup. If informed, some of them, not all, may change their behaviour. The challenge is how to reach enough people about this tragic situation. Destroy Nature for the culinary taste of some! Shame on those who kill for taste! This is a very interesting, and challenging, question. However, at the end of the day (or shall I say the extinction of the species), it seems that in banning shark fin soup the benefits to the biosphere outweigh the risk to the culture. Unless and until we begin to view our actions from a broader perspective – indeed, a global or ecosystem-wide perspective – we will continue to deplete and destroy what are ultimately shared resources in the name of narrow-minded entitlement. That is simply sick. And – I’m afraid – a very apt metaphor for what we’re doing to the world’s natural systems everywhere. Reminds me of the hunting of buffalo for sport in the US in the 1800s…a complete waste. Now, we’re going to find out soon enough that by engaging in such behavior we’re committing suicide, and taking powerless fellow creatures with us. Stunning and depressing to witness such heartlessness. Thanks for sharing the videos from Dan Rather. Deeply disturbing. Can we really use culture as an excuse for this kind of behaviour? 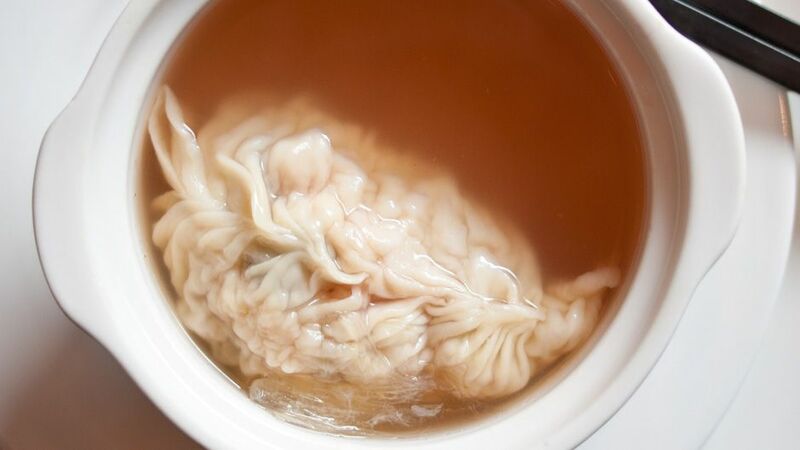 The picture posted is of a dumpling and in the far left bottom corner, there are just a few strands of what seems to be a shark fin….. Thank for all the comments. Kenji’s point about fake food is very interesting. Perhaps we’ll just get to a point where any animal product we cannot provide sustainably or affordably is just replaced through a chemical process. Perhaps future generations won’t be able to taste fresh, natural food at all? That is a separate issue of course. A further question I want to ask now is if there is a precursor to the shark-fin issue. E.g. is there another animal that we’ve eliminated in pursuit of culinary delight? Or will shark fin, or perhaps blue fin tuna be the first? A number of writers below have commented that, or at least asked if, an outright ban on shark fin harvesting is discriminating against certain cultures. The question makes sense if, and only if, you have a narrow, human-centred perspective. If however, you view the issue broadly, based on the idea that all species matter, the issue of discrimination disappears. Put differently, no one seeks to inconvenience or harm a culture; people do, however, seek to prevent the eradication of a species that has just as much right to exist as humans. And compared to this right, the ability of a group of humans to follow a cultural norm of a certain culinary creation, which is not required to stay alive (as the shark’s fin is to the shark), then again, the question fails. Sorry folks. It’s simple.